We are here to help you save time and money on your Conveyancing. The friendly staff at Francis & Torrens provide a convenient and cost effective way to settle your property conveyancing matters, without compromising a quality service delivered to you by experienced conveyancers. We’re sure you’ll agree, buying or selling a property can be time consuming and uncertain, but the really good news is, we save you time, money and remove any uncertainty. Let’s be honest, we know you want the best possible outcome! Above all, we understand the importance of offering you an easy to understand conveyancing service and making sure you are fully informed of all your costs from initial contact, through to final settlement. We do not charge for additional photocopying, phone calls or faxing and we will notify you by phone and in our quotation, of any unusual disbursements which may be unique to your conveyance. What’s more, we ensure that your mortgage lender, real-estate agent or any other parties involved are always kept informed during the conveyancing process. Let’s look at our record? As a conveyancing company, we have completed over 30,000 conveyancing matters since opening our doors in 1985. In fact, we have been a family owned and operated business for almost 30 years, which means that we have extensive experience in the property conveyancing industry. We go the extra mile for our clients. 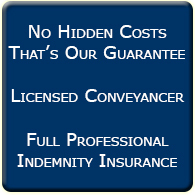 We hold a current Conveyancing Licence, Full Professional Indemnity Insurance and operate a Trust Account for the benefit and convenience of our clients. We’re here to help. Simply ask our friendly conveyancing specialists how we can be of service to you and allow us to give you our ‘all up’ fee today. Call Us Now (03) 9870 0904 or Request a Quote in Writing Via Our Contact Form.